Discount women’s clothing doesn’t have to be damaged, old, or out of style just because it’s reasonably priced. 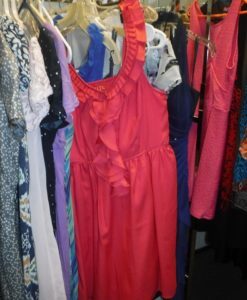 We have a great selection of gently used women’s clothing and accessories at affordable prices. 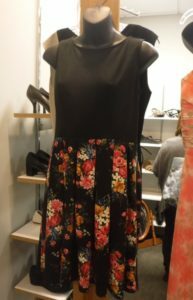 Our inventory includes vintage thrift clothing as well as designer brands. Blouses, skirts, sweaters, shorts, coats, dresses, t-shirts, jeans, sportswear, and shoes. 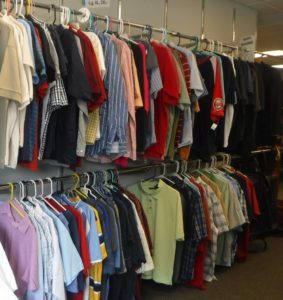 Our thrift store offers a wide selection of new and second hand clothing for men including sweaters, shorts, suits, jeans, ties, pants, shirts and shoes. Our store offers incredible fashion for even the pickiest teen shopper. Stop by to find the latest trends in shirts, skirts, sweaters, dresses, shorts, coats, t-shirts, jewelry… the list goes on and on! 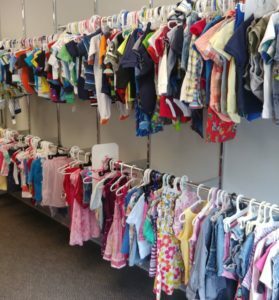 Buying thrift clothing for children and infants can help save you money as you shop for clothing for your rapidly growing children. 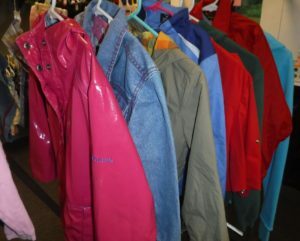 We stock an impressive array of new and second hand children’s clothing, including shirts, pants, dresses, outerwear, shoes, jeans, jackets and more! The right piece of jewelry can be the perfect “icing on the cake” to give you the look you going for. The style of our jewelry ranges from vintage to modern. 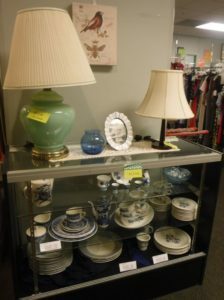 Our Clothes Closet has a nice assortment of women’s jewelry and other accessories. Since our merchandise is unique from day-to-day, you truly get to enjoy a “treasure hunt” experience when you dig into one of our selections. 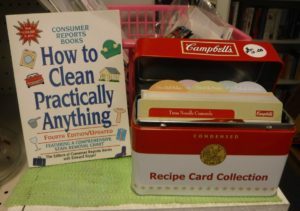 Some other categories of products that you may find are: Bedding, books, cookware, curtains, glassware, silverware, toys, dishes, collectibles and more! “If it’s not good enough for you to wear, it’s not good enough to sell.” That’s the motto we live by at the Clothes Closet thrift store. Every item you see in the store has been carefully inspected by one of our volunteers to ensure it meets our high quality standards. 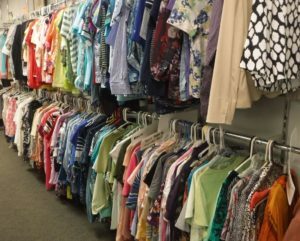 All of our second-hand clothing and other merchandise is organized in a bright, clean space, making it easier for you to find what you want. 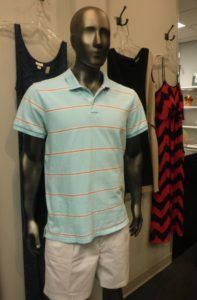 We can be your go-to store for any occasion, where you can find brand name clothes at low prices. 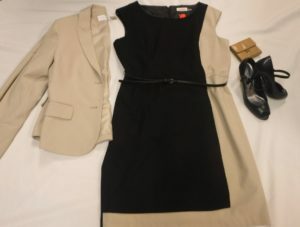 Brands you may find in the store include: Abercrombie, Anne Klein, Ann Taylor, Banana Republic, Calvin Klein, Children’s Place, Cold Water Creek, Dockers, GAP, H & M, J Crew, J J Hill, Jamboree, Jones New York, Lands End, Levis, Michael Kors, Mossimo, Old Navy, Talbots, Tommy Hilfiger, Van Heusen and so much more!